End: Same - much-needed rest days! "Keep on running toward your goal. The Whites might last a few days. Reaching the end of your journey will last a lifetime!" 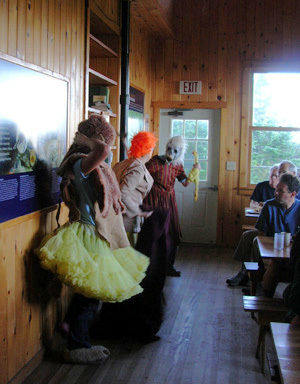 Part of the Galehead "croo" performing a skit after breakfast. 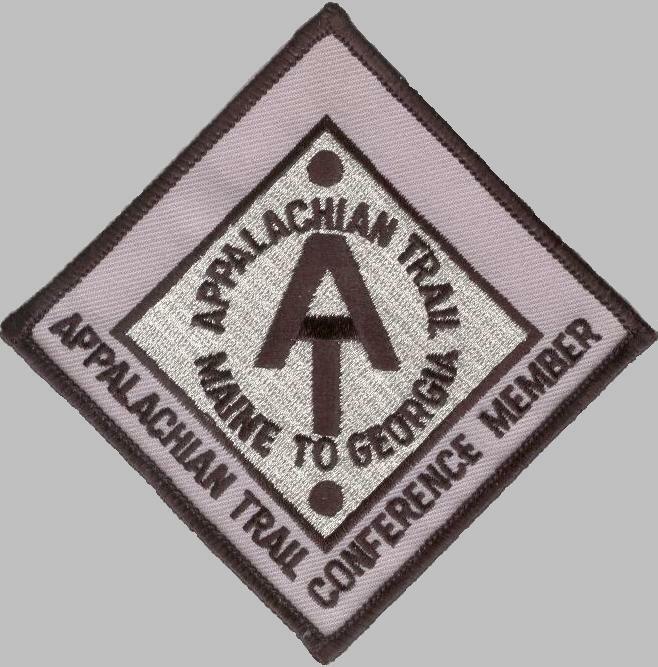 8-05 along the AT in the White Mts. I'm taking two days off while it's raining to rest and rejuvenate before my next onslaught on the AT in the White Mountains of New Hampshire. In this entry I'd like to give you more information about the hut system here. The concept is new to me, although many warm- and cold-weather sports enthusiasts around the world are already familiar with using huts in high places. 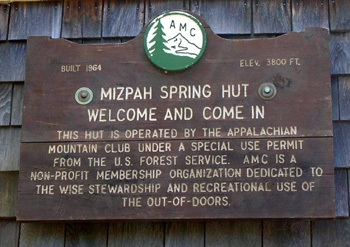 The Appalachian Mountain Club (AMC), maintaining club for much of the AT in New England, also operates a string of eight back-country huts (like lodges) under a special-use permit with the U.S. Forest Service. The huts, plus large lodges at Pinkham and Crawford Notches, are spaced a day's hike apart on the AT in the White Mountains. 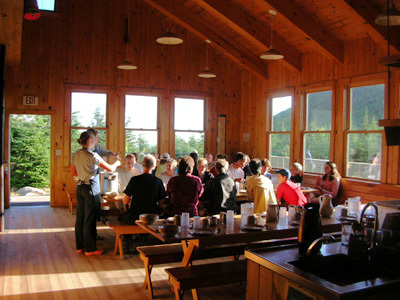 Most of the huts are full-service facilities during the summer and early autumn. They accommodate from thirty to ninety people each night. Some offer caretaker self-service year-round, so folks who ski and snowshoe can use them in the winter. 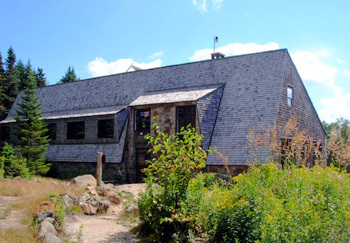 All are centers for outdoor education and offer workshops to visitors. 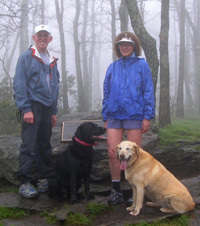 The AMC also offers multi-day guided hikes and runs a hiker shuttle between some of their facilities. Hikers use the huts in a variety of ways. For some, it is a brief stop during a hike to get water, use the bathroom, get some hot soup or supplies, ask about the weather, talk to other hikers hanging around, or get warm on a cold or wet day. Some use the huts as destinations, going out during the day to explore the large system of trails in the Whites and spending the nights in one or more huts. Overnight guests must make reservations ahead of time. The $85 fee (per person, per night) includes a bunk with mattress and pillow, three wool blankets, a delicious dinner and full breakfast. AMC members get a 10% discount, and children's fees are less, depending on their age. Other people want to hike the Whites from end to end (or a section of the Whites), hiking from one hut to another each day. The huts are spaced about seven to eight miles apart, including the lodges in the gaps. Thru-hikers have three options if they want to use a hut overnight. They can reserve a space and pay full price, like I did this week. They can pay $8 to use the facility's bathroom and sleep in their own sleeping bag on the floor or a bench (doesn't include food). Or they can "work for stay" at up to three huts in one season. Working for stay (i.e., free) is great if a thru-hiker gets to the hut early enough to be one of only two hikers allowed to use this system each night. The hiker usually helps for two hours with dinner and/or breakfast and dishes, then gets to eat. Sometimes the food runs out, however, and the hiker ends up with leftovers from previous meals. There are usually bunks available even if the facility is "full," according to the crew at Galehead, where I stayed on Day 118. I thoroughly enjoyed my stay at the Galehead Hut last week. Staying there allowed me to complete a long section of the Trail in two days instead of one insanely-long one that would have required several hours of night hiking. This hut is the most remote in the system, a 4.6-mile hike to the nearest road. Hiking those bonus miles twice was my only other option to complete this long section. Meals are served family-style at long wooden tables. Guests sit on benches and pass the food around the table. At Galehead we had a nice view of the next two mountains I'd be hiking, South Twin and Guyot. All the huts are located in scenic locations with expansive views or perhaps next to a lake (e.g., Lakes of the Clouds near Mt. Washington) or waterfall (like Zealand Falls Hut). I was curious about how the huts are run, so I asked the Galehead staff (humorously spelled "croo," not "crew") for information. I don't know if each location uses the same systems, so this may be specific to Galehead. The hut is not heated. Propane is used for cooking and refrigeration. Water used in the kitchen and bathroom sinks comes from a well. (Others may use spring water, as their name includes "Spring.") Wind and solar power are used for lighting in the huts. We were told the "Chewbaca" noise we could hear was the wind turbine. Food waste is composted; so is human waste from the toilets that don't flush. Guests are asked to "pack it in, pack it out." In other words, don't leave any trash there because the croo has to pack it out. For that reason, napkins and paper towels are not used. They've got enough trouble packing out food containers and other items without hikers adding to the burden with their trash. At Galehead a helicopter delivers all the staple goods at the beginning of the summer season. Fresh food comes up via foot - croo members pack it up on their backs, 50 to 100 pounds at a time! It's a 3,000-foot elevation gain over 4.6 miles to this particular hut. Other huts have similar numbers; some are above tree line. The morning I left Galehead two summer croo members also left to return to their "main" jobs (one is a teacher). Two new fall staff members came in to replace them the day before. All five croo members at Galehead who introduced themselves to us are college grads who have done this job before; they appeared to be in their middle to late twenties. Croo members are experts at multi-tasking. They are service providers as well as entertainers. It appears they have a lot of work to do but they must find it both fun and rewarding because they keep coming back, season after season. Hut rules were delivered in a comical manner after dinner and breakfast - e.g., when lights go out at night (9:30), when guests are awakened in the morning (6:30), when breakfast is served (7:00), packing trash out, how to fold our blankets when we left. Galehead staff even delivered the day's weather report in costume. Outdoor education is an important focus for the AMC. I believe each hut has a naturalist on staff; Galehead's did. Jess led an interesting star-watch session with hikers on the clear night I was there. She's a science teacher nine months of the year. Speaking of Madison Springs, the modern hut there is built on the site of AMC's first hut, which was built in 1888. This hut system has been in operation for 117 years! Amazing. Sleeping arrangements are interesting in the huts. Each hut has several bunk rooms. At Galehead there were four rooms with bunks stacked three high. At Madison Springs they are four high! The bunk rooms are coed but the bathrooms are not. Some of the hikers at Galehead slept in their sleeping bags on the bunks. Others brought their own sheets and pillowcases to supplement the blankets provided. I had to use just the blankets on my mattress. The mattresses aren't real comfortable but I'm spoiled by the good one we have in our camper. I was quite happy to have anything to sleep on so I didn't have to do twenty-eight miles that day! 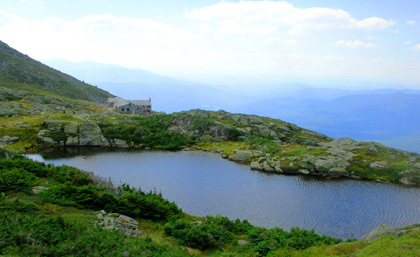 This is a photo of the Lakes of the Clouds Hut a mile and a half south of Mt. Washington's summit. It is the largest and most popular of the huts because of its location. 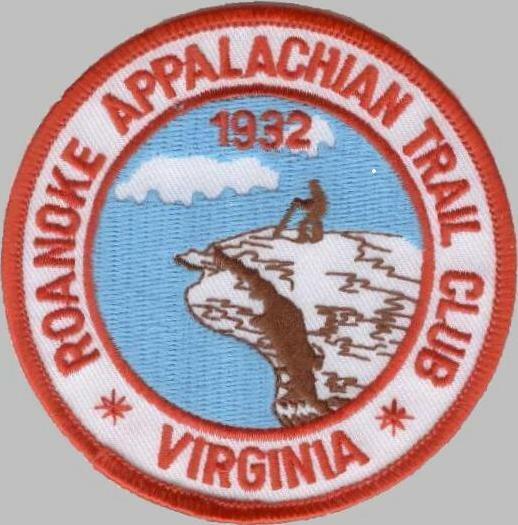 At 5,050 feet in elevation, it's a good base for exploring the alpine zone. For further information about the huts, check out the AMC website: www.outdoors.org. I really enjoyed my hut experience and hope to return someday with Jim. I'm sorry I'll be passing only one more hut this week. Sure could use more on some of the long stretches I'm facing. Jess, the science teacher, is also a great cook. She gave me the ingredient list for the popular, spicy soup served at Galehead Hut the night I was there. There are no quantities listed, since she makes about 100 servings. Make it like she does - by what tastes good to you. Experiment! Saut� some onion in olive oil until soft. Add vegetable or chicken broth, canned pumpkin, milk or cream, canned (or cooked dry) black beans, brown sugar, salt, pepper, cinnamon, nutmeg, and cumin. Heat through. Puree in a blender and serve hot.